Ongoing protests in Broward County and Florida's pending recount battle highlight twists and turns seen across the country in outstanding midterm races. The delays nationwide, partially due to overwhelming voter turnout, have sparked a conversation about the efficiency of the nation’s voting mechanics. Here are the states where constituents are still waiting to find out who will represent them. In Florida, a razor-thin margin has the divided state gearing up for recounts in more than one race, including for senate. Incumbent Sen. Bill Nelson, the Democrat has refused to concede to Gov. 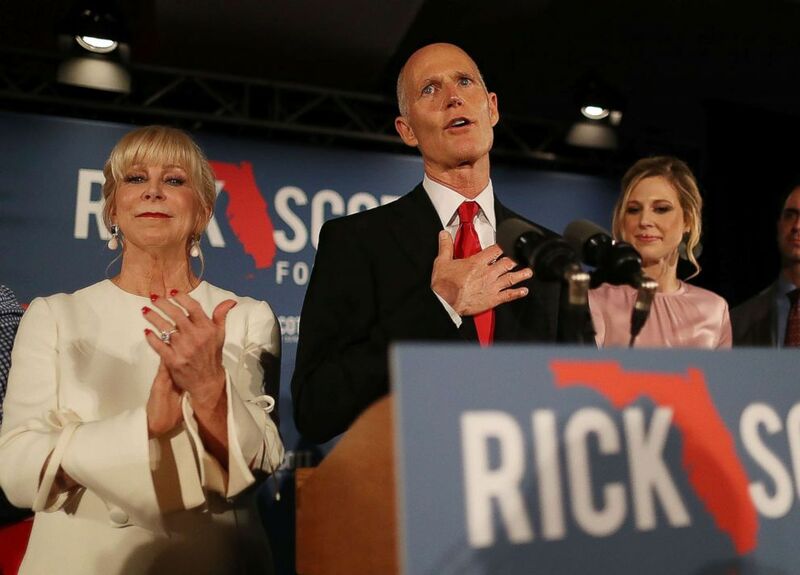 Rick Scott, the Republican challenger, who currently leads by less than 0.2 percent with ballots across the state still uncounted. State rules mandate a recount if the margin is less than 0.5 percent, which looks entirely possible, especially because two Democratic-leaning counties haven’t completed counting mail-in ballots — and one of them hasn’t finished counting early ballots, either. Many more counties continue to count provisional ballots. A recount could come as early as Saturday. Scott carried a larger lead Tuesday night, but continues to see it dissipate as more votes come in. Scott has responded by accusing county election supervisors of corruption and filing lawsuits against them. Scott is backed by support from the president, the GOP and Florida’s current Republican Sen. Marco Rubio. A win for Republicans in Florida’s senate race would only add to the stinging loss of three key senate seats on Tuesday night in Indiana, North Dakota and Missouri, which are all states where Democratic senators faced re-election in states Trump won in 2016. But in Florida, where incumbent Democratic Sen. Bill Nelson is awaiting results against Republican challenger Gov. Rick Scott, Trump narrowly won the state by less than 1.5 percentage points. 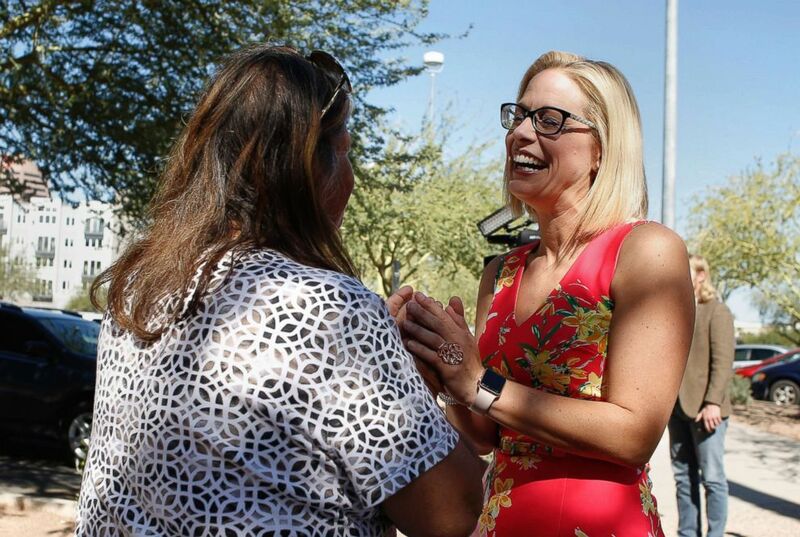 The Arizona Senate race to replace outgoing GOP Senator and Trump-critic Jeff Flake between Democrat Kyrsten Sinema and Republican Martha McSally was always going to be one of the closests contests of 2018, and it did not disappoint. The most recent raw vote has Sinema with a lead of just under 2,000 votes over McSally, a shift from the post-election count that showed a nearly 1 percentage point lead for McSally. With talk of numerous lawsuits swirling, it could be weeks before we find out who the first woman to represent Arizona in the U.S. Senate will be. 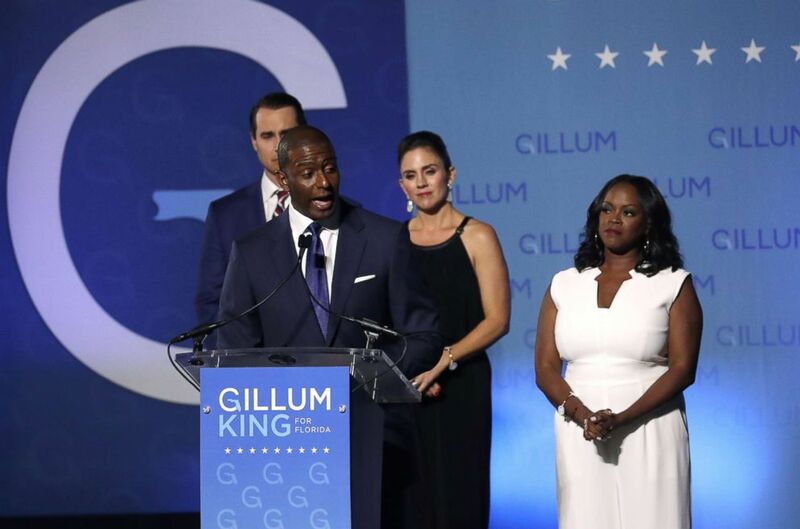 Unlike the ongoing battle in Florida’s U.S. Senate race, the Democrat in the state’s gubernatorial race, Andrew Gillum, did concede to his Republican opponent, Ron DeSantis, on Election Night. "We didn't win it tonight. We didn't win this transaction. But I want you all to know that is just it, a transaction, that what we believe in still holds true today," Gillum said Tuesday. Democratic Florida gubernatorial nominee and Tallahassee Mayor Andrew Gillum concedes the race to Rep. Ron DeSantis during his midterm election night rally in Tallahassee, Fla., Nov. 6, 2018. But as the margin between Gillum and DeSantis continued to shrink, now to the point where an automatic machine recount is expected to be triggered, the Democrat’s new mantra is “Count every vote.” DeSantis holds a significant lead of over 36,000 votes, a margin that will be difficult for Gillum to overcome, but with multiple recounts in the works and Florida’s long history of unpredictable elections, this continues to be a race we are tracking very closely. In Georgia, there are also doubts that Democrat Stacey Abrams can overcome the current margin between her and her opponent, the state’s now-former Secretary of State Brian Kemp, but the race is too close to call. Democratic Gubernatorial candidate Stacey Abrams addresses supporters at an election watch party on Nov. 6, 2018 in Atlanta. Abrams and her opponent, Republican Brian Kemp, are in a tight race that is too close to call. That didn’t stop Kemp from declaring himself the winner on Thursday — a victory Abrams’ camp rejected. "All the votes haven't been counted. How can anybody claim a victory when there are enough votes that have not been counted that could cause a run-off here?" John Chandler, a member of Abrams' legal team, asked at a press conference Thursday. In Georgia, the winner needs 50 percent of the vote or a runoff is automatically triggered. Kemp says there aren’t enough ballots left uncounted to close his narrow lead. As of Friday morning, Abrams had 48.72 percent of the vote compared to Kemp’s 50.33 percent. 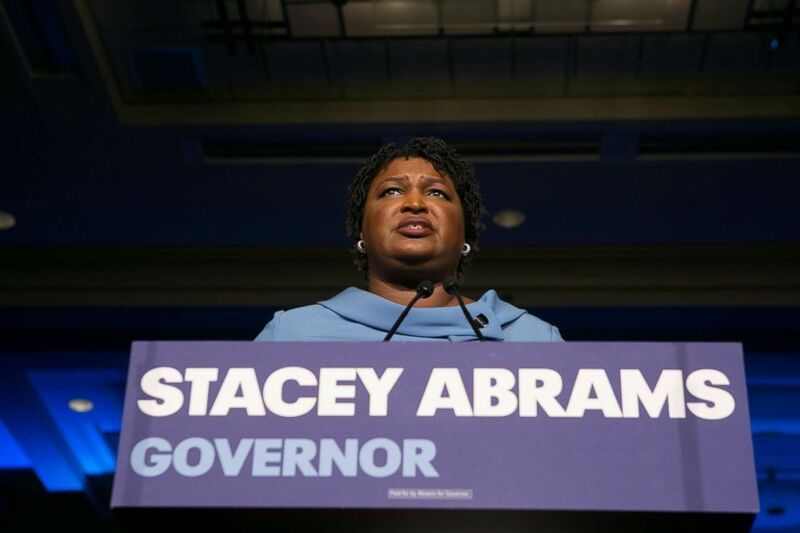 But Abrams’ campaign has vowed to staunchly moderate the incoming vote tallies and make sure every vote is counted — an unsurprising move in a race where her opponent has been shrouded in allegations of voter suppression, beginning with reports that millions of voters were unknowingly purged from registration systems under his tenure, many of whom were African American voters. The tight race in New Jersey’s 3rd Congressional District has yet to be called by ABC News, despite a declared victory from Democrat Andy Kim Wednesday night. Kim, a former Obama administration official, faced incumbent Republican Rep. Tom MacArthur, who caught flack in the state when he stood by Trump and voted for the tax cut. 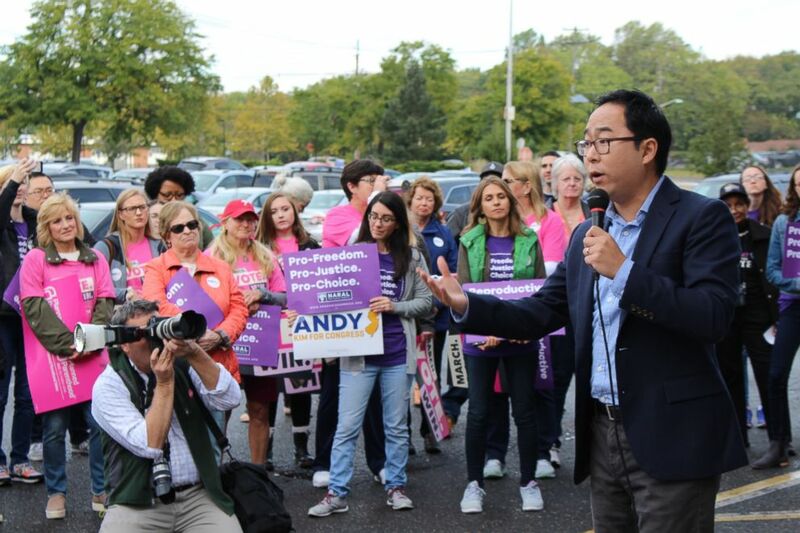 Dozens of supporters, most of them women, gathered in a strip mall parking lot in Willingboro Township, N.J., in October to support Democrat Andy Kim in his bid to unseat Republican congressman Tom MacArthur. Democrats have already flipped three of the five New Jersey House seats held by Republicans — and a Kim victory would bring that number to four. It would also mean Democrats seize 11 seats of the 12 seats in the New Jersey House delegation. In the open race for a formerly Republican-held seat in California’s 39th, Republican Young Kim has a slight lead over Democrat Gil Cisneros in a race that’s still too close to call. If Kim wins, she would be the first Korean-American woman elected to the U.S. House. Young Kim, running for a U.S. House seat in the 39th District in California, speaks at a anti-gas tax rally in Fullerton, Calif., Oct. 1, 2018. Kim is trying to become the first Korean-American woman elected to Congress. The traditionally Republican area was revealed to be a split district in 2016, fueling Democrats’ hopes for an inroad, when Hillary Clinton won it the 2016 presidential election by 8 points. Republican incumbent Dana Rohrabacher has represented this Orange County district since the late 1980’s, but it appears his time in Congress may come to an end in 2018. While California still has a significant number of mail-in ballots to count, Rohrabacher currently trails his Democratic opponent Harley Rouda by just under 5,000 votes. Dubbed “Putin’s favorite Congressman” by his critics for his Russia-friendly policy views, Democrats will undoubtedly trumpet a Rohrabacher loss that could further signal that the area that birthed former President Richard Nixon is continuing its leftward shift in the era of President Donald Trump. Rep. Mia Love is currently the only African-American woman among the House Republican ranks, but she is in serious danger of losing her Salt Lake City-area seat to local mayor and Democrat Ben McAdams. McAdams currently holds a lead of over 6,700 votes over Love, who was called out individually by President Trump at his post-election press conference over her tepid embrace of the Commander-in-Chief. Democrats had held this seat since 2000 before Love flipped it in 2014, but it appears it will be back in their control when the 116th Congress is sworn in next year.